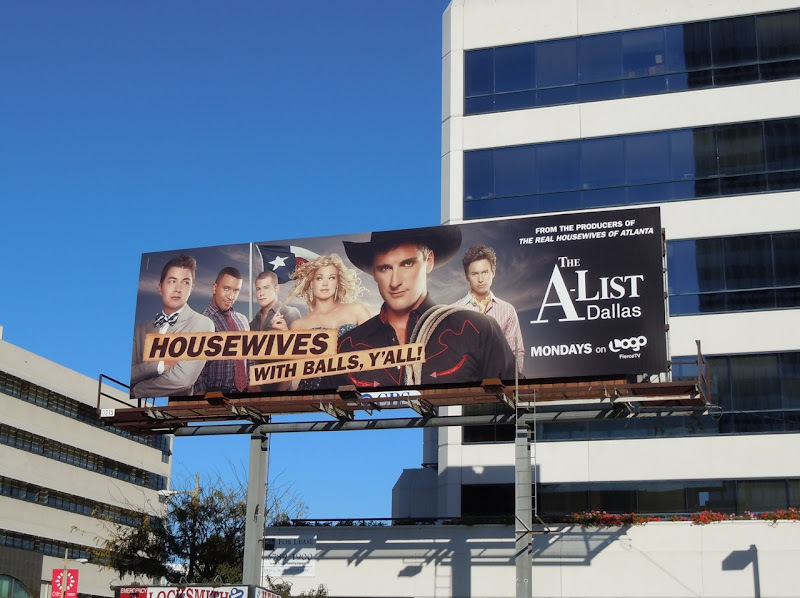 According to these billboards The A-List Dallas are housewives with balls who are a real hot mess. 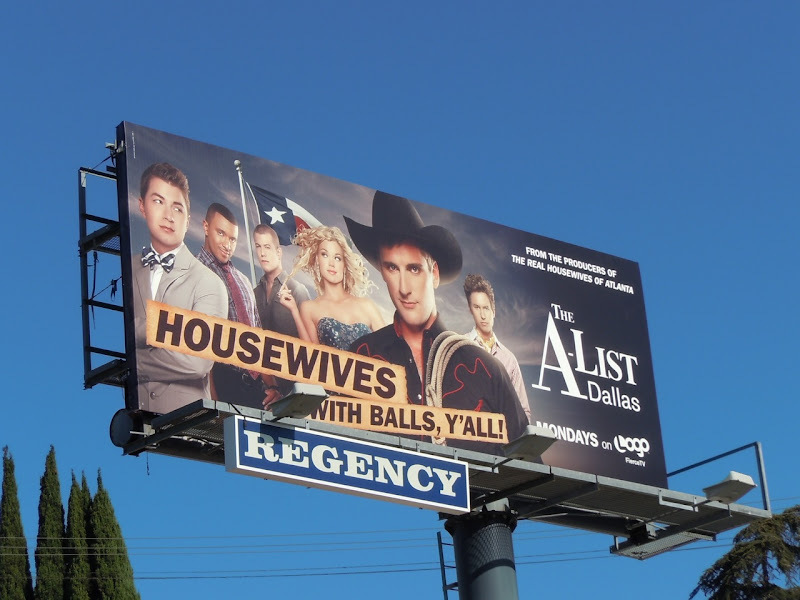 Logo has emulated the success of Bravo's Real Housewives reality format with its own gender reversed gay version. First came the high drama of The A-List New York, and now it's the turn of former rodeo stars, Dallas socialites, trust fund kids and even their cheerleading gal pal (although she could easily be mistaken for a drag queen, right?). 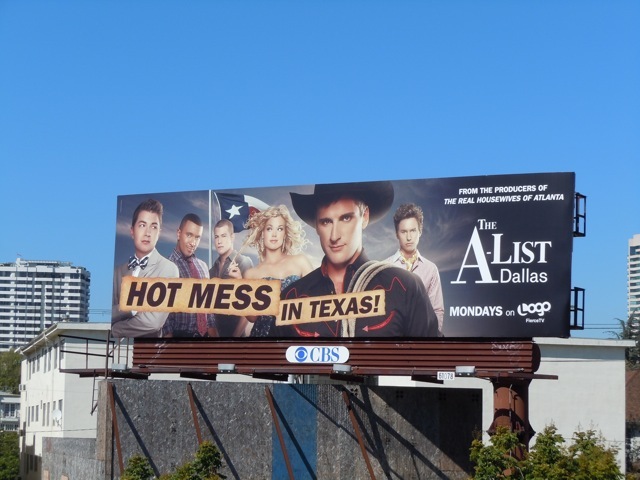 First New York, now Dallas, Daily Billboard wonders where will be next. West Hollywood maybe? 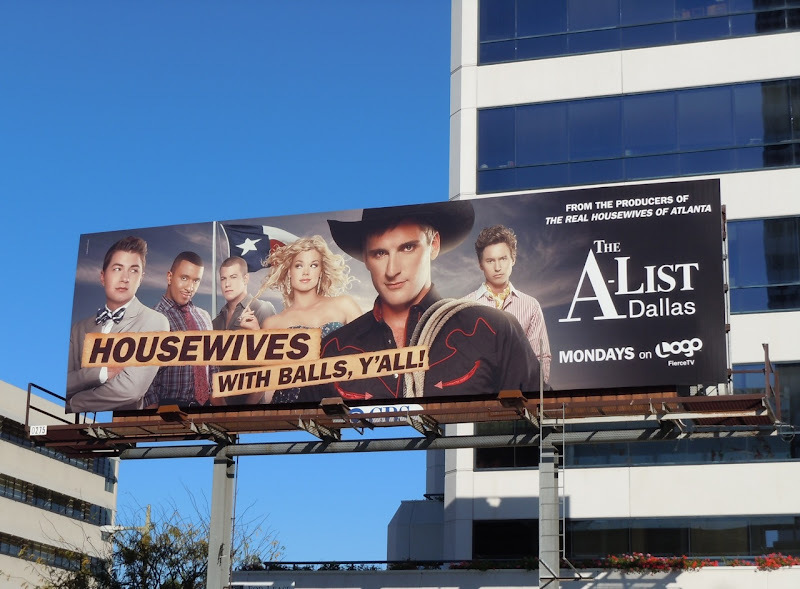 The 'Housewives with balls, y'all!' creatives were snapped along Sunset Boulevard and Wilshire Boulevard on October 1, and the 'Hot mess in Texas!' 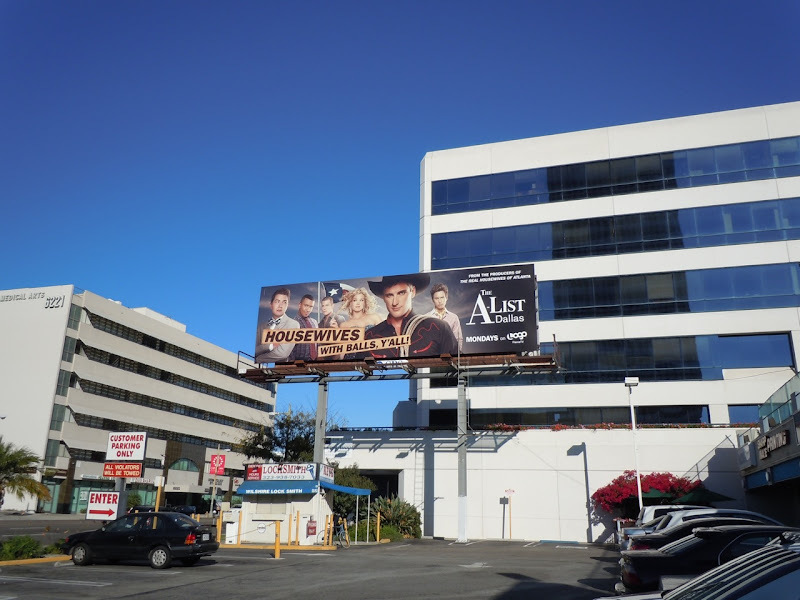 version captured along Santa Monica Boulevard on October 8, 2011. 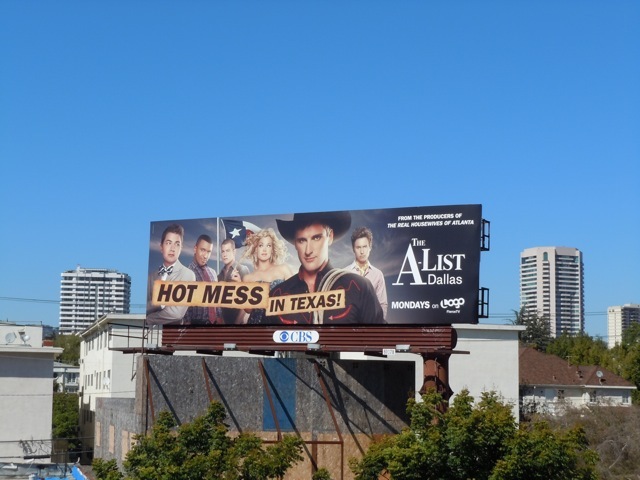 If you like these, be sure to check out the original A-List New York billboard.